Turns out the image tweeted by Koena Mitra is from a 2016 Muslim League rally held in Kozhikode. What's in a flag? If the great English Bard had been alive today, that is surely the question he would have asked instead, especially after the controversy recently created by flags at Rahul Gandhi's roadshow at Kerala's Wayanad. On April 4, the Congress chief filed his nominations from the Wayanad constituency and started off the Kerala campaign blitz with a mega road show. However, the enthusiasm soon soured for many after it was rumoured that green flags with white crescents, purportedly like Pakistan's national flag, were waved to welcome Gandhi. Many images of supporters carrying alleged "Pakistani" flags were captured and floated on social media. One of them was posted on Twitter by Bollywood actress Koena Mitra. Several other similar videos went viral on various platforms. Koena, who is followed by the handle of PM Narendra Modi, among others, shared a photo of a large gathering of men, supposedly in Wayanad, holding green "Islamic flags". "First partition was done by terrorist Jinnah, next could be Rahul Gandhi. Islamic flags welcomed him to #Kerala," Mitra wrote. She went on to call the Congress manifesto "pro-jihad and anti jawans, anti-India". "Somebody is working hard for 'Gazwa-e-Hind'", she concluded. While many on Twitter instantly started comparing the place to Pakistan, a surprising critic stood up to defend the truth behind the photo. Right-wing activist Rahul Easwar, who was recently in the news after being arrested for obstructing the implementation of the Supreme Court order lifting the ban on women's entry in Sabarimala, responded to Mitra's tweet with a little fact-check. "Dear @koenamitra ji," he wrote on Twitter. "This is the flag of Indian Union Muslim League. Who has a great legacy of opting for us, India during time of partition. 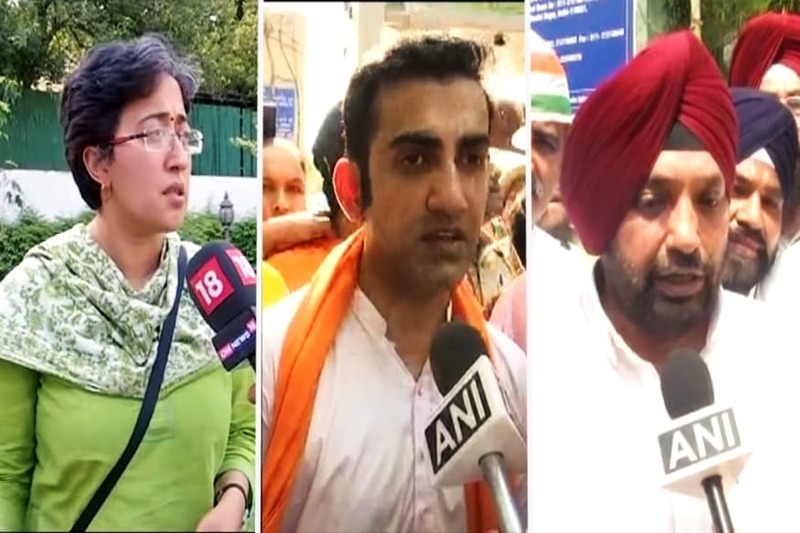 They are our Muslim bros who chose a Gandhiji's India than a Jinnah's Pakistan." Easwar, who has been vocal about his support for the policies of the BJP government in the past, added, "I also vote for Modiji, & Facts are more imp than Votes". What Easwar said was indeed true. 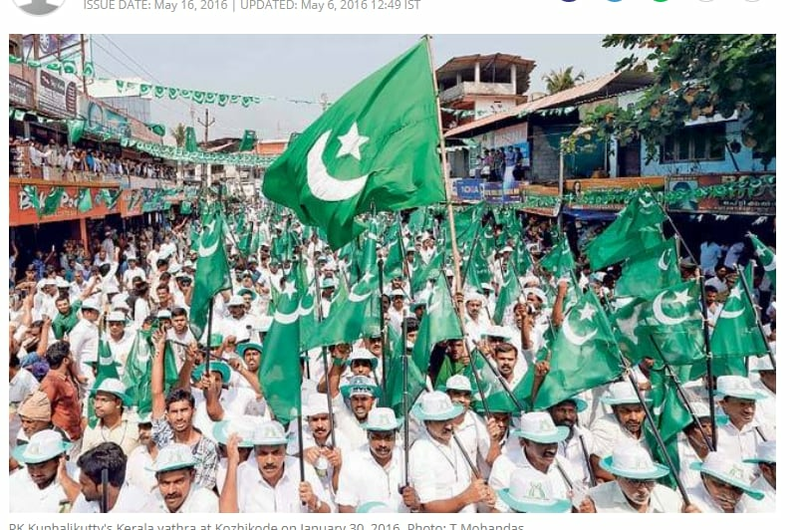 The flags that were seen in Wayanad on the day of the road show and previously were not "Pakistani flags" or "Islamic flags" but those of the Indian Union Muslim League (IUML). Pakistan's flag has a white border on the left with the moon and the crescent featuring in the centre. The Islamic banner usually has a star and crescent in the middle. However, the IUML flags, like the ones seen at Wayanad recently, has the star and crescent at the top left corner of the flag. According to fact check in Alt-News, the image tweeted by Mitra is from a 2016 rally in January held in support of PK Kunhalikutty, a Mallapuram MP and member of IUML, in Kozhikode. The image was published in India Today on May 16, 2016. (Screenshot from India Today website). Hours after the Congress announced Rahul Gandhi’s candidature from Wayanad seat, the ruling CPM in Kerala accused the grand old party’s chief of joining hands with “Muslim fundamentalists” on the pretext of defeating “communal BJP” in the state. However, Gandhi has maintained that he will not fight the Left in Wayanad but only the BJP.